Mr. Gaw is one of our independent directors and chairman of our audit committee, having been appointed in June of 2017. Mr. Gaw is currently a real estate project consultant and is managing personal investments. From November 2009 through January 2011, Mr. Gaw served as Chief Financial Officer of Pyramid Hotels and Resorts, a REIT that focused on hospitality properties. From September 2008 through November 2009, Mr. Gaw was engaged in managing his personal investments. From June 2007 to September 2008, he was Chief Financial Officer of Berkshire Development, a private real estate developer that focused on retail development. From April 2001 until June 2007, he served as the Senior Vice President, Chief Financial Officer and Treasurer of Heritage Property Investment Trust, Inc., a publicly traded REIT listed on the New York Stock Exchange. Mr. Gaw was serving in those capacities when Heritage Property engaged in its initial public offering. 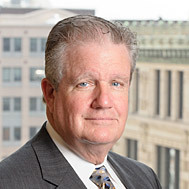 Mr. Gaw served as Senior Vice President of Boston Properties, Inc., a publicly traded REIT listed on the New York Stock Exchange, from 1982 – 2000, and also served as its Chief Financial Officer beginning at the time of its initial public offering in 1997. Mr. Gaw received a bachelor of science degree and an MBA from Suffolk University. Mr. DeAgazio is one of our independent directors and chairman of our corporate governance committee, positions he has held since November 2011. Mr. DeAgazio has been the Principal of Ironsides Assoc. LLC., a consulting company in marketing and sales in the financial services industry since he founded the company in June 2007. In 1981, he joined Boston Capital Corp., a diversified real estate and investment banking firm, which, through its various investment funds, owns over $12 billion in real estate assets, as Executive Vice President and Principal. He founded and served as the President of Boston Capital Securities, Inc., a FINRA-registered broker dealer, which is an affiliate of Boston Capital Corp., from 1981 through December 2007. Mr. DeAgazio formerly served on the National Board of Governors of FINRA and served as a member of the National Adjudicatory Council of FINRA. He was the Vice Chairman of FINRA's District 11, and served as Chairman of the FINRA's Statutory Disqualification Subcommittee of the National Business Conduct Committee. He also served on the FINRA State Liaison Committee, the Direct Participation Program Committee and as Chairman of the Nominating Committee. He is a founder and past President of the National Real Estate Investment Association. He is past President of the National Real Estate Securities and Syndication Institute and past President of the Real Estate Securities and Syndication Institute (MA Chapter). 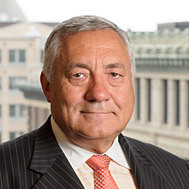 Prior to joining Boston Capital in 1981, Mr. DeAgazio was the Senior Vice President and Director of the Brokerage Division of Dresdner Securities (USA), Inc., an international investment-banking firm owned by four major European banks, and was a Vice President of Burgess & Leith/Advest. He was member of the Boston Stock Exchange for 42 years. He was on the Board of Directors of Cognistar Corporation and FurnitureFind.com. He currently serves as a Vice-Chairman of the board of Trustees of Bunker Hill Community College, the Board of Trustees of Junior Achievement of Massachusetts and the Board of Advisors for the Ron Burton Kid's Training Village and is on the Board of Corporators of Northeastern University. He graduated from Northeastern University. Mr. Cottone is one of our independent directors and chairman of the compensation committee, positions he has held since November 2011. He is currently a mediator and arbitrator for the Financial Industry Regulatory Authority (FINRA, formerly NASAD), the American Arbitration Association, and the Counselors of Real Estate, primarily in securities, real estate and general commercial matters. He is an officer of the Executive Committee of the governing Council of the Dispute Resolution Section of the American Bar Association, and has been certified by the International Mediation Institute at The Hague. From 2003 to December of 2007 he was a member of the Board of Directors of Government Properties Trust (NYSE – GPT) and Chair of the Nominating and Governance Committee, and from 2004 to December 2008 he was lead director of Boston Capital REIT, a public, non-traded REIT. From 1972 to 1981 Mr. Cottone was senior real estate officer and group executive of IU International (NYSE – IU), a 2 billion dollar Fortune 100 company, and previously, from 1966 to 1972, he was Manager of Real Estate at the Port of New York Authority where, among other things he was responsible for acquisition of the World Trade Center property in Manhattan. 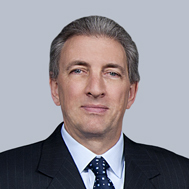 In 1981 he co-founded Ascott Investment Corporation, an investment, development and syndication company headquartered in Philadelphia, and as Chairman and CEO, a position he still holds, and founder of its captive broker dealer, he headed a staff of 65 in the capital raising, acquisition, management and sale of more than thirty real estate programs in fourteen states. From 1977 through 1983 and again from 1998 through 2002 he was General Counsel and a member of the Executive Committee of the International Right of Way Association, and from 1988 to 1977 he was Trustee and Treasurer of the IRWA Foundation. In 1988 he was national President of RESSI, the Real Estate Securities & Syndication Institute, and in 2004 he was national Chair of the Counselors of Real Estate, both divisions of the National Association of Realtors. For ten years from 1995 to 2005 he was an adjunct on the faculty of the Real Estate Institute at New York University teaching a course he wrote in real estate securities. Mr. Cottone has an A.B from Columbia College (1961) where he was awarded the Burdette Kinne Memorial Prize for Humanities and an L.L.B. from NYU where he received the Administrative Law prize. Mr. Barber is one of our independent directors and has held this position since February, 2015. Mr. Barber was the chairman of Moirai Capital Ltd., a property-development and investment company based in London. Mr. Barber also served as chairman and Chief Executive Officer of Capital & Regional PLC, a publicly traded real estate company that he co-founded in 1978. He retired in March of 2008. In 1984 he formed CenterPoint Properties Trust, which became a New York Stock Exchange-listed REIT in 1993. He was co-chairman and lead independent trustee until its $3.4 billion sale in April, 2006. In 1991, Mr. Barber was a director of TransEuropean Properties Limited, a co-mingled real estate fund established to invest in European properties. In 1998 he retired from that board and was appointed chairman of PRICOA Property Investment Management Limited, a wholly owned subsidiary of Prudential Insurance Company of America. PRICOA is a real estate fund management group investing in Europe. Jeffrey E. Witherell is our Chief Executive Officer and Chairman of the Board and has held these positions since the formation of the company. Mr. Witherell oversees all aspects of our business activities, including the acquisition, management and disposition of assets. Mr. Witherell has been involved in real estate investment, development and banking activities for more than 25 years. 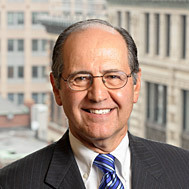 He, along with Mr. White, formed Plymouth Industrial REIT in 2011. From April 2008 thru 2011 he was engaged in the formation and operation of Plymouth Group Real Estate and Plymouth Real Estate Capital LLC, a FINRA registered broker/dealer. Prior to that, from April 2000 to March, 2008, Mr. Witherell was employed as an investment executive with Franklin Street Properties Corp., a publicly traded REIT, and its subsidiary, FSP Investments LLC. During that time, Mr. Witherell was involved in the acquisition and syndication of 34 separate property investments, structured as single asset REITs, in 12 states, which raised in the aggregate approximately $1.2 billion. Mr. Witherell graduated from Emmanuel College in Boston with a bachelor of science degree in business, earned his MBA at Endicott College, and is a member of several real estate organizations, including NAIOP. He is a board member of AdventCare Inc., a Massachusetts based nonprofit organization that owns and operates skilled nursing facilities. In addition, he is an Advisory Board member at The Ohio State University Center for Real Estate. 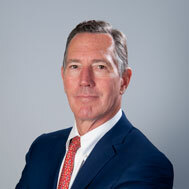 Pendleton P. White, Jr. is our President and Chief Investment Officer and one of our directors. He has served in these positions since the formation of the company. Along with Mr. Witherell, Mr. White actively participates in the management of our company and is primarily responsible for the overall investment strategy and acquisition activities. Mr. White has more than 25 years of experience in commercial real estate, serving in numerous capacities including investment banking, property acquisitions and leasing. From November 2008 through March 2011, Mr. White was engaged in the formation of Plymouth Group Real Estate. Prior to that, Mr. White was Executive Vice President and Managing Director at Scanlan Kemper Bard (SKB) from September 2006 through November 2008, where he ran SKB's East Coast office and managed the funding of SKB Real Estate Investors Fund I. From March 2002 through September 2006, Mr. White was employed as an investment executive with Franklin Street Properties Corp., a publicly traded REIT, and its subsidiary, FSP Investments LLC. During that time, Mr. White was involved in the acquisition and syndication of numerous structured REITs throughout the United States. Mr. White received a bachelor of science degree from Boston University and is a member of several real estate organizations, including ULI and NAIOP.